It is very important that your website represent your business and if you are into a business that needs a website with lots of vibrant colors then you have come to the right place because in this post you will be able to browse through over fifteen most vibrant and colorful WordPress themes that can be used for a variety of purposes. The professional design of these colorful WordPress themes will not only grab your visitors attention but also give your website a very youthful appearance. If I talk about the kind of websites that can be built over these colorful WordPress themes then you can make websites that are related to sweet shops, magazines, blogs, review sites, news sites, digital shops, fashion shops, games shops, devices shops, food shops, household shops, food, flowers, sporting goods, gifts, shoes, accessories, events, preschools, day care, children, craft, art, education, nursery, portfolio, eCommerce, learning and education centers, video games, music, movies, books, church and much much more. I hope that you will like this post and if you do, please like and share it with your friends and colleagues. Burst is not a traditional theme but a very vibrant and colorful WordPress theme with different styles, parallax zoom effects, sliders and over 80 shortcodes. If you are as colorful as the website in the screenshot below then this theme is a great option for you. 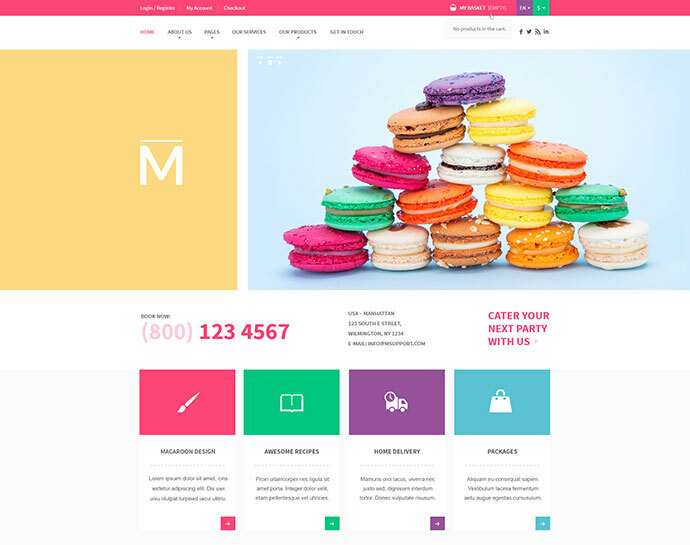 The Macaroon Sweet Shop is a very vibrant and colorful WordPress theme which actually allows you to set it up with the colors you love. It comes with a color picker in the backend that allows you to easily and quickly change the colors for any element of the entire theme. Iconiac is a fully responsive, flat and very colorful WordPress theme with support for retina display. Iconiac is a good option for magazines, blogs, review sites, news sites etc. 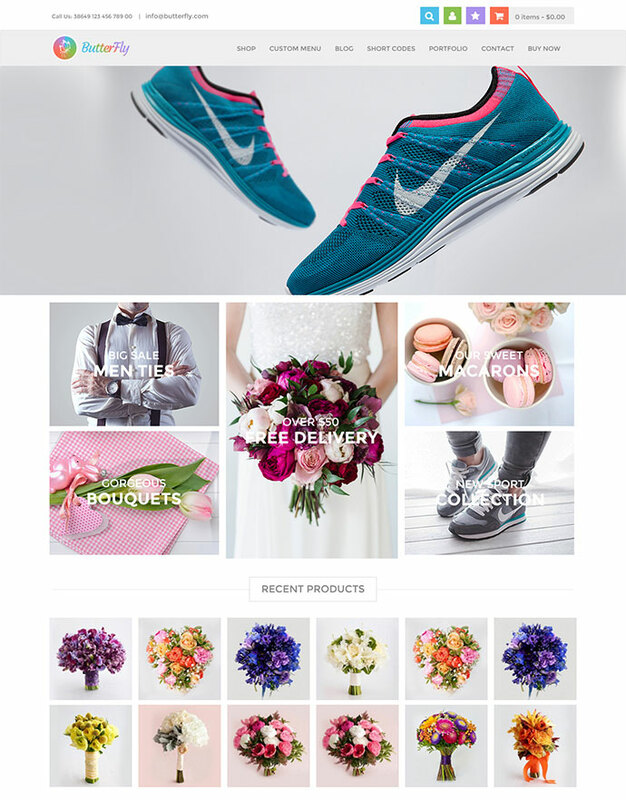 KuteShop is a clean, professional, modern, multipurpose and a very vibrant and colorful WordPress theme with a fully responsive design that makes it look great on any type of device, be it a desktop, laptop or smartphone. KuteShop is a perfect choice for digital shops, fashion shops, games shops, devices shops, food shops and household shop etc. ButterFly is a great colorful WordPress theme which offers four color schemes; orange, light green, light blue, and violet. 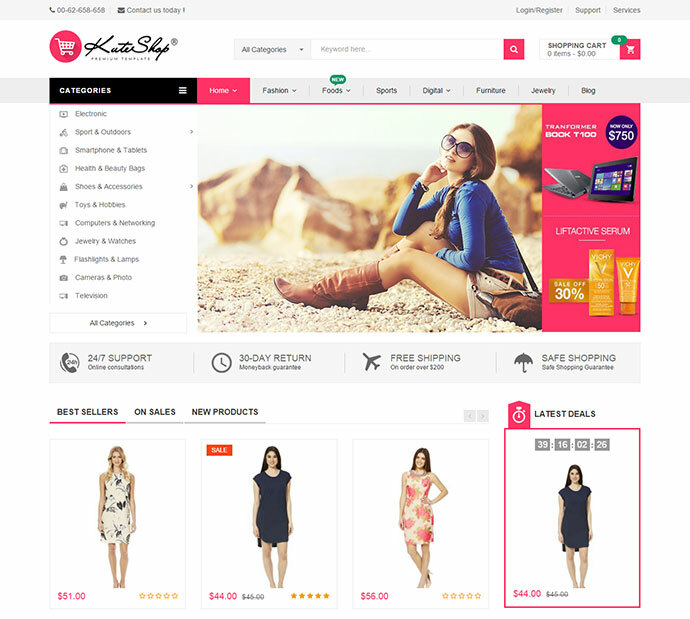 It has a clean, multipurpose and modern design with Woocommerce support and retina display. ButterFly is fully responsive and can be used for selling sweets, food, flowers, sporting goods, gifts, shoes and accessories etc. Progressive is yet another pretty colorful WordPress theme with a very professional and easy to use design. It comes with a lots of shortcodes and responsive design etc. 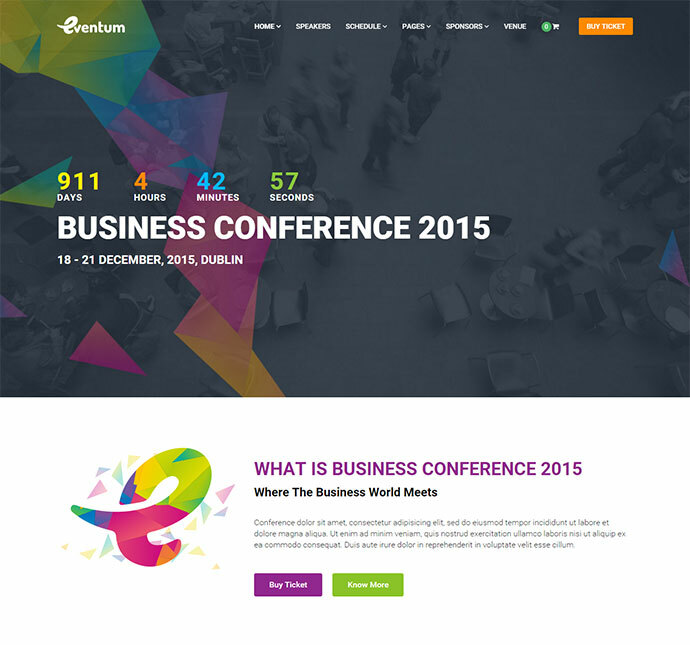 Eventum is a vibrant and colorful WordPress theme for events. So, if you are planning to launch an event then this is your theme. It offers fast setup and a complete package for managing venues, tickets, sessions, speakers, sponsors and almost everything that you need for a successful event. 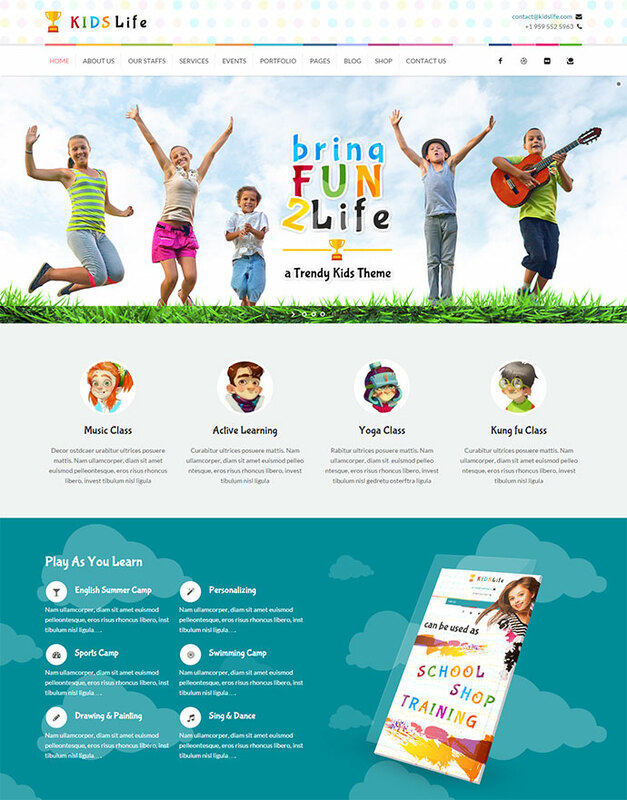 Kids Life is a colorful WordPress theme with a hand crafted design. It is a perfect choice for websites related to preschools, day care, children, craft, art, education, nursery and any other thing related to kids. 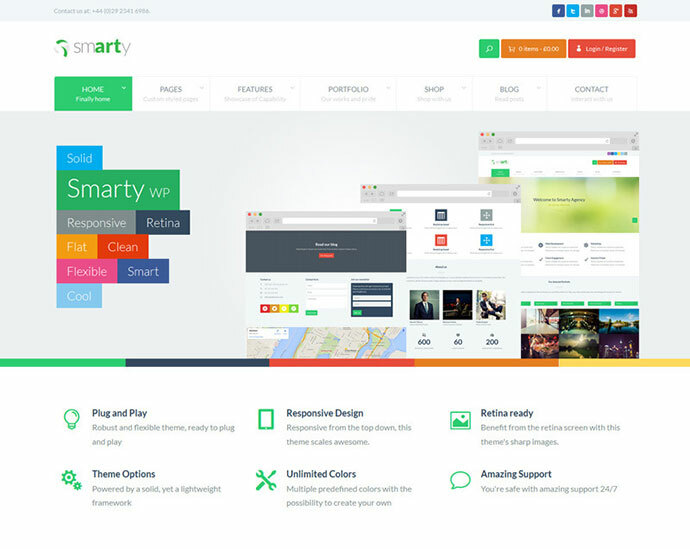 Smarty is a very colorful WordPress theme for portfolio, professional business and eCommerce related websites. Its been built with Bootstrap and powered by Visual Composer. Smarty has a flat and vibrant design. 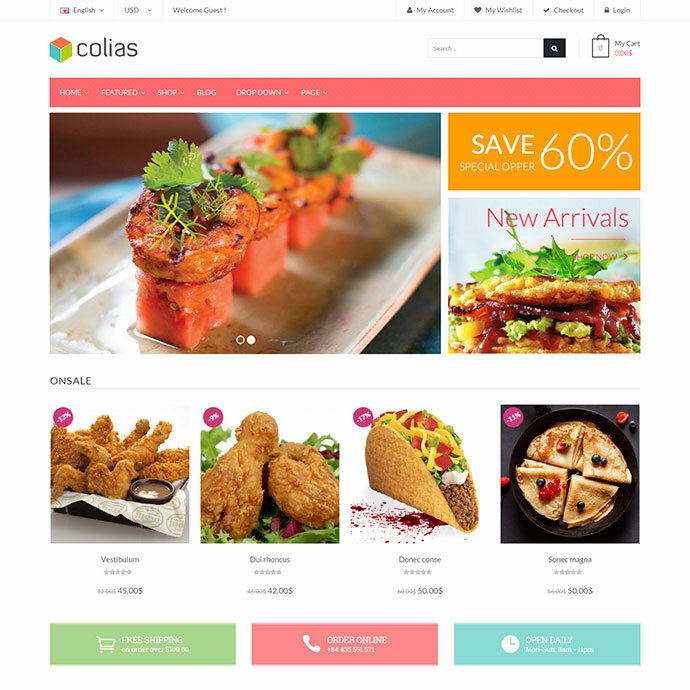 Ri Colias is a great colorful WordPress theme with a fully responsive design and WooCommerce support. It is an extremely easy to use and customize theme, perfect for portfolio, business, blog and eCommerce sites. 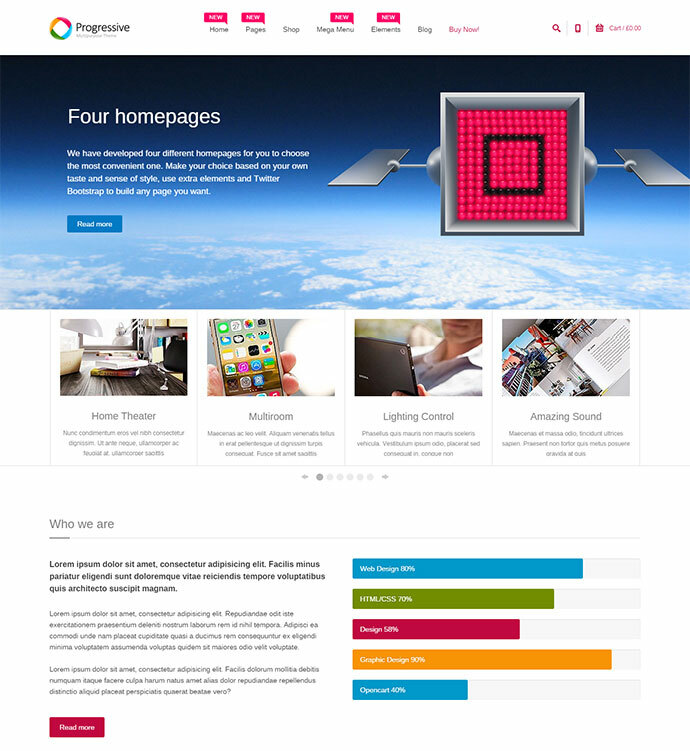 Zero is a unique and colorful WordPress theme with more focus on SEO. Zero is highly search engine optimized and its design will give you an edge over others. If you are looking for a colorful WordPress theme which can be used for Learning and Education centers then Masterstudy is a good option for you. 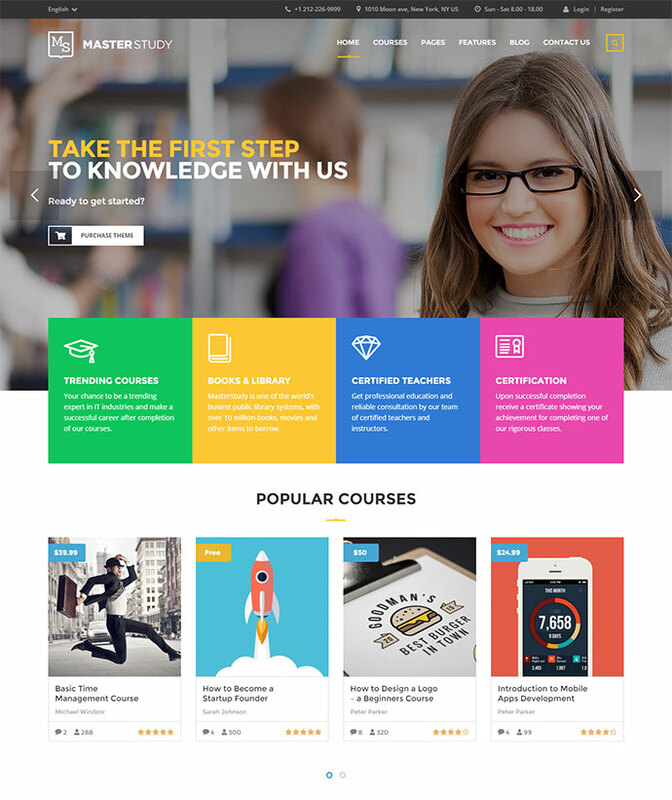 Its colorful, vibrant and can be used to create a great looking website related to education and learning. 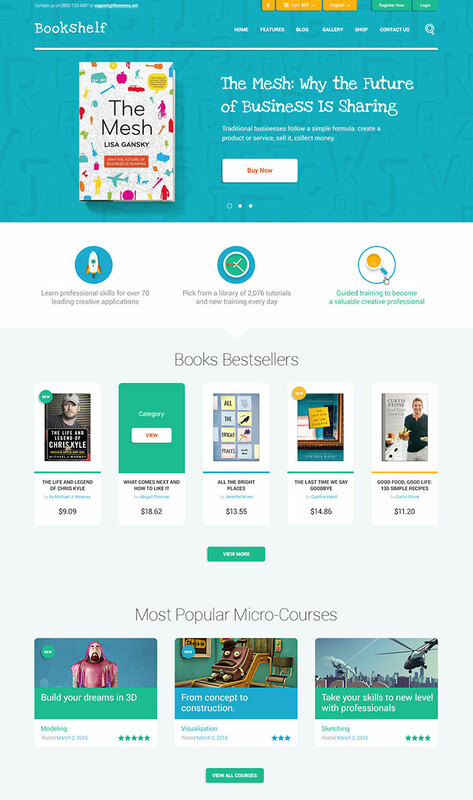 If you are looking for a colorful WordPress theme which can be used for building an online book store then BookShelf is a great option for you to look at. In fact, this theme can also be used for selling any type of media products like video games, music, movies, books etc. You can use this theme to sell both digital and physical items. 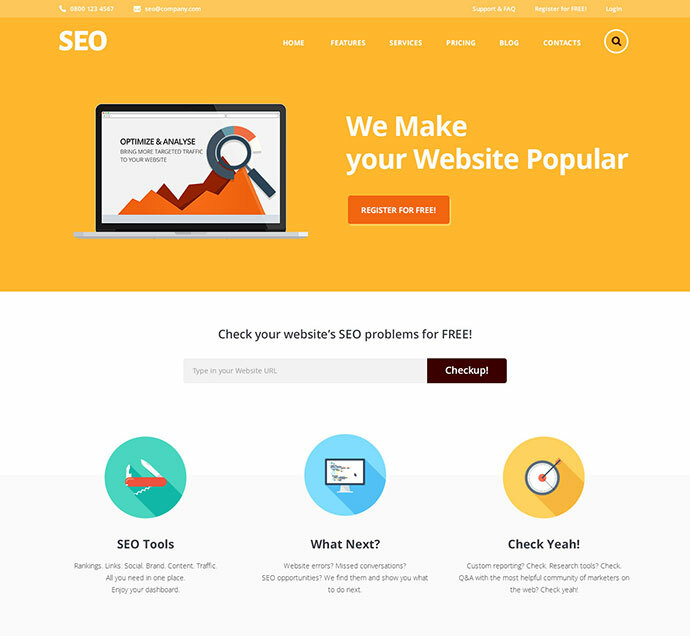 SmartSEO is a flat theme with a wide variety of blog and project styles, some great effects and parallax scrolling. Its flexible structure makes it very easy to install and setup. SmartSEO is great for you if you are into SEO or marketing business. 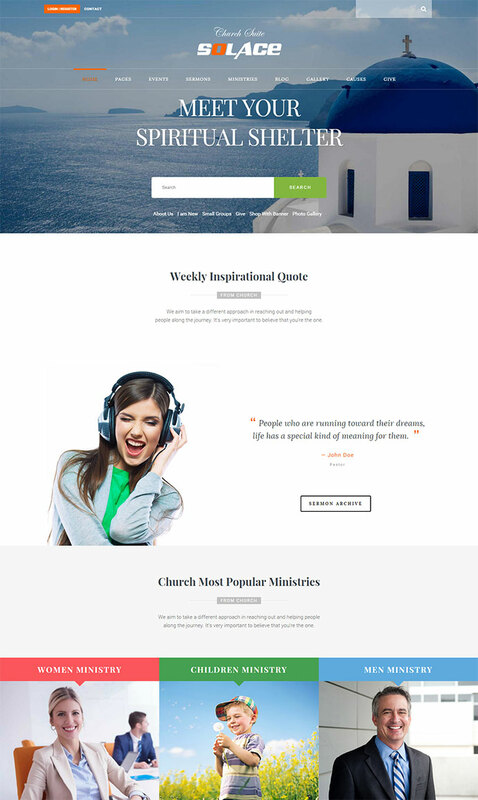 Church Suite is a colorful WordPress theme with a fully responsive, retina-ready, clean, minimal and modern design. It is fast due to its lightweight code and perfect choice for church or similar type of websites.